The Socket CHS 7Di has been discontinued. No direct replacement is available. The Socket CHS 7Di is designed for mobility, small, light, portable, and Wireless with long-range Bluetooth connection. The CHS 7Di has excellent ergonomics that ensure comfortable use over extended periods. This is combined with the dependable performance with long battery life and easy integration with applications on diverse mobile computing platforms. 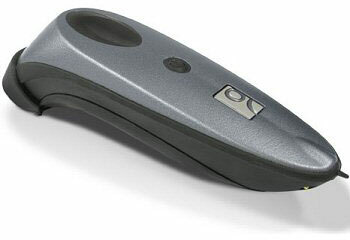 1D Linear Imager, Rugged Housing, Cordless - Bluetooth, Vibrate. Color: Gray. Works with Apple iOS (iPad, iPhone, iPod) and Android. 1D Linear Imager, Rugged Housing, Cordless - Bluetooth, iOS and Android Compatible, Vibrate. Color: Gray. 20 Unit Bulk Pack. This product was ready to use right out of the box. Very pleased with it so far.